The most colorful event for Berlin Carnival is back. With the Jouvert event Carnival Fever Entertainment is bringing a classical Carnival Street Party to the outside area of the Arena Berlin. Holi Powder, paint and water will brighten up the place and will open Carnival saturday. 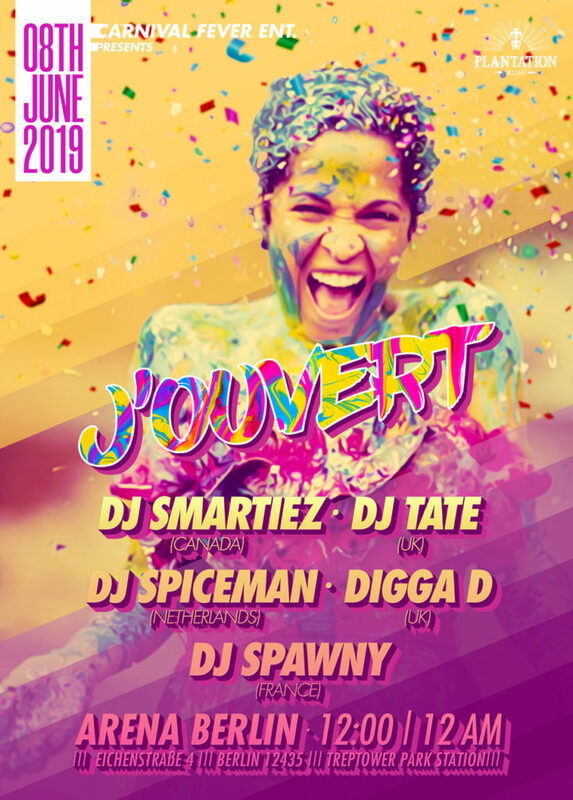 Leave your stress behind and get crazy at the Jouvert.